The Florida Wild Bird Center is just down the road from where we are spending the season as they call it here. That's January through March when the area is populated with the species called "snow birds." 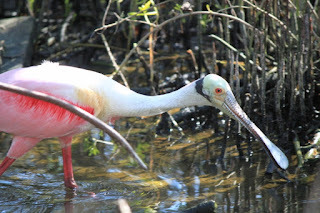 We stopped in again this year for a walk about and were treated to an up close view of the beautiful Roseate Spoonbill. 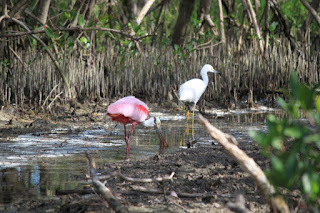 The last time we visited, the spoonbill that hangs out there was in the middle of a salty pond and hard to see. This time he was fishing one of the creeks that runs through the preserve. The pink and salmon colors of his plumage are beautiful especially in the sunlight. His bill from which he derives his name is handy for finding the tidbits he likes to dine on. He walks along and moves his bill from side to side to scoop up his meal. While he likes to dine on crustaceans he also enjoys little bait fish which were plentiful in the creek he was wading through. 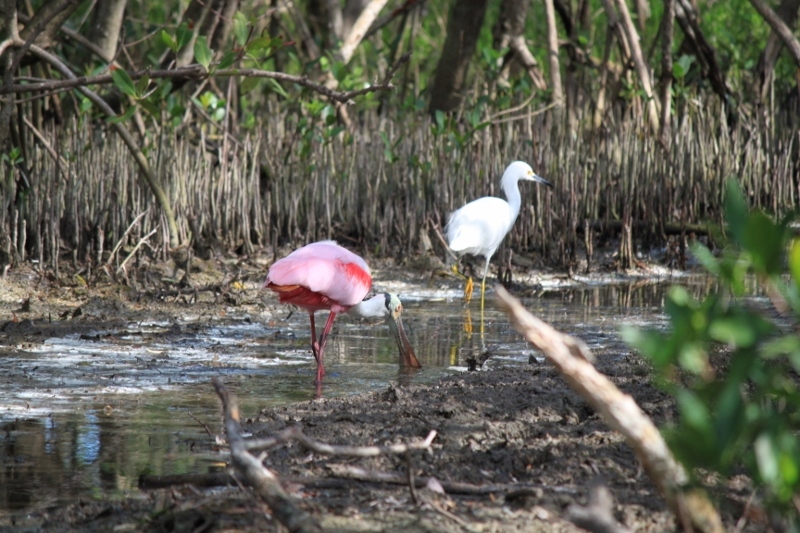 The spoonbill is found in marshes often where there is brackish water and lots of mangrove trees. 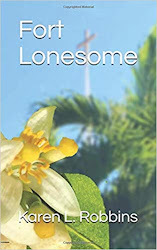 He is common in Florida as well as in parts of Texas and Louisiana. He's related to the iconic Florida ibis. The University of Miami chose the ibis over the spoonbill. It probably was a good idea. A football team dressed in pink might not be the best choice.